Engineering designing department having requirements of the distribution of drawing to concern departments, all the distributed drawing list are need to record for the tracking of each drawing and its reports. 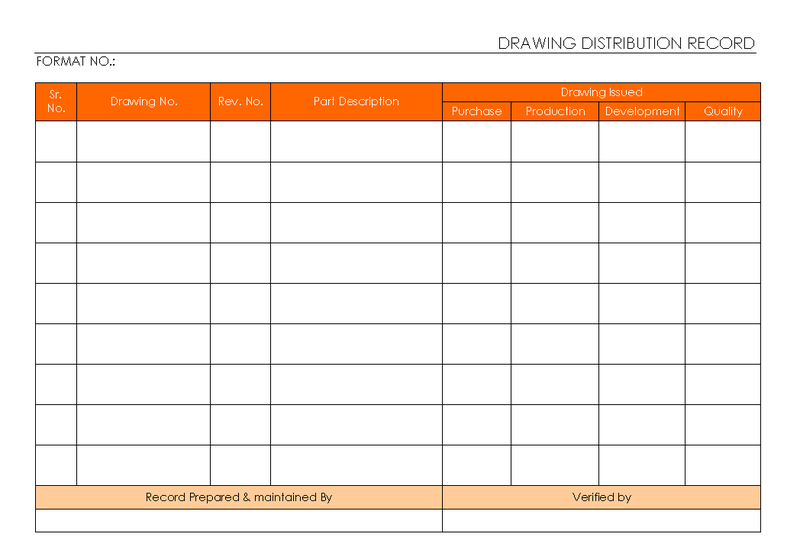 Drawing distribution record template used as the listing out the information and pass information to concern departments that need to drawing for the producing, inspection, sampling or other purpose of drawing of the product or process. Drawing issued to … purchase / production etc.. Departments. All the drawing issued records available here for the tracking the information of distribution.